I keep a small treasure chest in my office that’s filled with some unique odds and ends, among them an original Troll doll–don’t ask why. I’ll have to share the rest of the contents another time. But I love clothing tags and I’ve collected some cool designs. I think part of the cost of a good pair of jeans is going to the design and production of these tags. Some of them are fairly elaborate and use special print techniques like foil stamping and die cutting. These are some of my favorites. 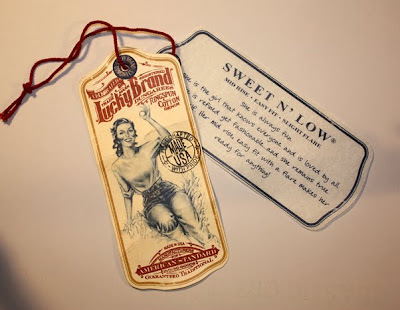 Lucky Brand Jeans – love this one, cool design; the vintage photo is reminiscent of an old advertisement; the second tag describing the jeans is printed on a vellum stock. 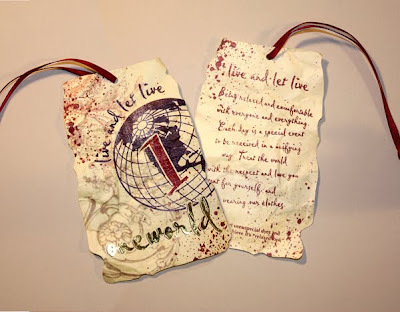 One World – I love the random die cut and red ribbon hanger; the logotype is in gold foil and it’s printed on a synthetic stock which gives it a material-like feel. 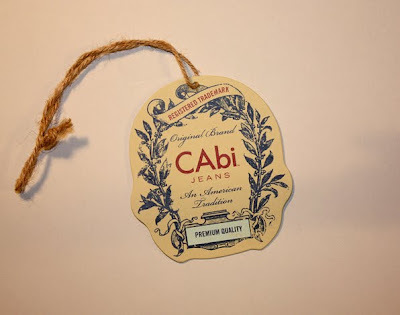 CAbi – this is a very thick card stock and a nice die cut; I like the wreath design; simple twine is used for a hanger. 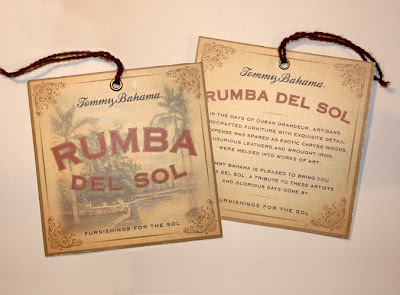 Tommy Bahama – Okay, so this isn’t a clothing tag, it’s for furniture, but I thought I would slip it in; a nice type and border treatment; the images really fit the brand. 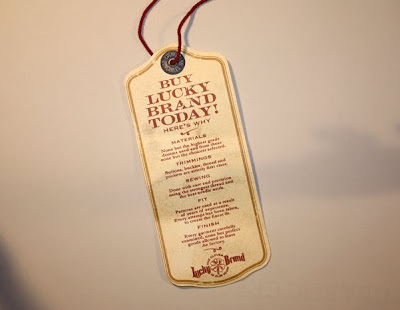 If you have a clothing tag, or any product tag you think is a good specimen of design, I would love to see it. Send a picture in jpeg format and short description of why you like it to: info@clarkcreative.net. I’ll include it in my next series.